HUNTINGTON BEACH, Calif. (KGO) -- These dogs do more than shake and fetch. They are experts at catching waves! About 64 pets hit the water this past weekend during the Surf City Surf Dog Competition, and they really made a splash! 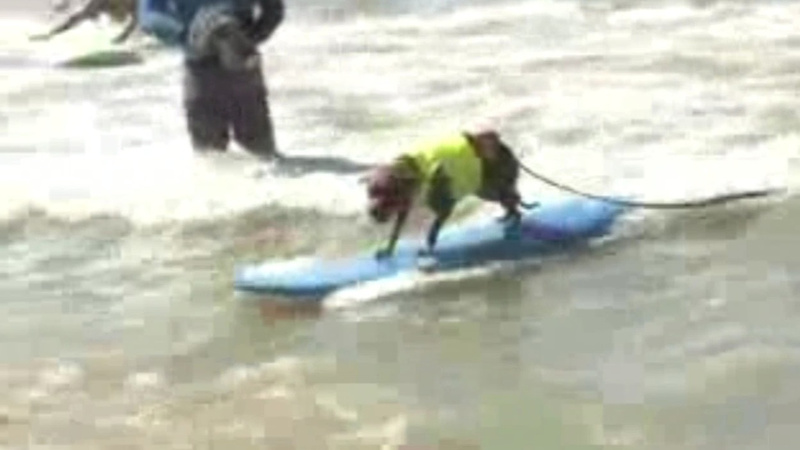 Organizers say the number of surfing pooches has doubled since the contest began seven years ago. A dog named Hanzo won the extra-large dog category.